Steve Rae, a survivor of Piper Alpha, closed the Safety 30 conference. Steve Rae counts himself among the fortunate 61 who survived Piper Alpha and has made it his duty to ensure that the legacy of the disaster of July 6, 1988, when 167 offshore workers perished, “continues to be revisited, referenced and shared whenever possible with all those connected to and directly employed in the oil and gas industry”. Unlike many of those who made it back ashore, Mr Rae returned to the offshore industry to make a significant career. He is operations manager of Well-Safe Solutions in Aberdeen. He has more than 30 years’ experience encompassing drilling operations, project management, business development, engineering/maintenance and safety leadership. Mr Rae is highly regarded for his stance on health and safety and has made it a crucial element of his career. He can influence the future course of offshore safety, and spoke at the recent Safety 30 conference in Aberdeen. Mr Rae has an articulate view on where the offshore industry needs to go regarding risk. Much of it is positive, particularly in the North West Europe Continental Shelf, where he believes common cultures and values have evolved when it comes to safety, propelled especially in the UK and Norwegian sectors by various disasters, of which Piper Alpha was the worst. But while industry appears to have maintained adequate spending on maintenance, asset integrity and training during the downturn, as the pace of recovery increases so too do his concerns that an eagerness to re-hire may result in unacceptable levels of risk on the people front. Hiring has started to pick up again and people who may not have worked in the industry for two or three years are returning in some number, though many have gone into other industries, such as offshore wind. As with previous upturns, there are raw recruits with little experience being taken on. Mr Rae said: “This time we’ve reached the place as a mature industry where many experienced and knowledgeable workers won’t return because they’ve left the industry for good. I’m concerned about the ‘big crew change’ issue. 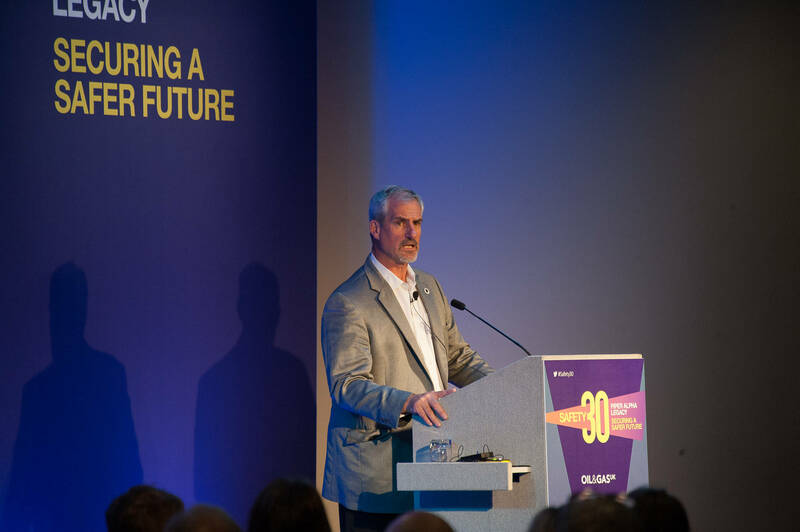 Since around 2010, the UK industry had been discussing and making plans for this eventuality as the workforce aged, seeking ways to transfer and retain knowledge as people left the industry. “I believe the most recent oil price downturn accelerated the first half of this big crew change, causing it to arrive with little, if any, prior notice, forcing industry to react by shedding tens of thousands of jobs. “Now the second part of the change is upon us, four years after oil prices fell sharply. Only now is the price recovering, and with it returns the inevitable thirst for additional people. “Because of the now advanced maturity of the North Sea, the impacts of the 2014 oil price drop and the time taken for recovery to begin, many of the people who were still around after previous downturns to mentor and coach new blood have gone, making it much harder to transfer the unwritten experience. “Of course, the industry will see some of its seasoned workers return. I also think you’ll see some people who may have been in offshore hands-on tools positions before the downturn take up some onshore training roles. However, while the coaching and training staff may have changed, the new recruits and those who are returning to work can expect to receive the same safety training curriculum and refresher schedules. Surely everybody new to the industry has to be sheep dipped, at least at the start. But how do you build on that with safety and emergency preparedness training? Mr Rae said: “New entrants absolutely must undergo full training in this regard. It’s about being aware. It’s about practice. “What I’m referring to is developing competency, which for me is achieving a level of mastery in what you do. To achieve this level of competence you have to practise at the work site (offshore) and you have to do this frequently and be coached and assessed in it. “Let’s talk about emergency preparedness training. It could be helicopter evacuation, it could be abandoning a platform, God forbid it happens. You’re mandated to do that on a periodic basis, four years right now. In effect, the approach remains one size fits all. Mr Rae said: “For me, there’s a lot of value in training getting lost because time and effort is being spent on elements that are not necessarily appropriate to building your particular level of emergency preparedness competence. “I would question the value returned to a worker, or his employing company, from having to do this training curriculum five or six times in his working life. “What I’m not saying is don’t do training. What I’m saying is training should be tailored to the individual including ensuring that any tendency towards memory-fade over time is effectively countered. Which begs the question: As the industry comes out of the latest downturn, how fit for purpose are our safety competency development and assessment systems? “I talk about situational awareness,” Mr Rae said. “That for me is paramount on an oil and gas installation. You have to know where you are, where the risks are and where the exit ways are. The usual North Sea way out to an installation is aboard helicopters, of which there are only a few different types. It’s easy to become familiar with them in terms of how to react in the event of an emergency as they are highly standardised. But when it comes to offshore installations, they’re all different. And even the simplest is highly complex, not least when it comes to learning the safety aspects. How can workers realistically absorb all of this? And then if there’s an incident on one of those rigs, are they actually able to respond and competently interpret the situation as it develops while following procedure? Mr Rae and the other survivors lived precisely because they broke the rules the night Piper Alpha blew up. He said: “We chose to ignore the rules. We did our own thing after attempting to muster. I somehow knew the rules weren’t going to save me that night. I came to the realisation fairly quickly after the first explosion as I was being led into the accommodation through the external door with seven or eight others in a human chain. Mr Rae was anxious but wasn’t yet terrified. He had come from the drill floor, which, at the time, was still relatively clear of smoke and flame. Mr Rae worked for Bawden Drilling and was 26 years old. He was determined to go on living. He said: “I had returned to Piper that day for my third tour. I’d been in the industry since the age of 20 and had already visited more installations than I could count, all of the Brents, Forties, the Braes, Montrose, the Beatrices and Alwyn. So I knew what to expect when I went offshore to what were already by then 12 to 14-year-old installations. “When I arrived on Piper it was because there was the opportunity of 12 months’ work in front of me. Importantly, there are cultural differences between North Sea installations run by different companies. Also, every platform develops its own personal culture over time. Mr Rae said: “I’ve learned since Piper, though I had the feeling back in 1980-88, that you could have a company culture but that each installation will have its own sub-culture. “For example, from 1985-88 I worked in Total’s Alwyn field and that was very different to what I had previously experienced. It was a very positive culture. But why didn’t they ask for one? Mr Rae replied: “If I think about all the installations I’d been on previously, you arrived, in some cases you hadn’t even taken your survival suit off before being given an immediate update of what was going on aboard the platform. “And if you hadn’t been on before you would certainly be taken to your designated lifeboat, muster station and so-on. In other words you were inducted every time you arrived on board. “That was not the case on Piper. My understanding is that people were rarely inducted. And I certainly wasn’t inducted that day (July 6, 1988). Nor were we informed, from a platform perspective, what other activities were taking place. “At that time I was a maintenance electrician for the drilling contractor on the rig, Bawden Drilling, and responsible for keeping the platform’s drilling facility running during the night. While he was beginning to sense that Occidental had a different approach to many other North Sea operators, it wasn’t until the Cullen Inquiry that he learned the extent to which Piper production was pushed beyond design limits. “I think that tells you a lot about the operating culture at Occidental,” he said. Mr Rae had only been back on Piper Alpha for a few hours before all hell broke loose and he with 60 others made the decision not to follow the platform’s emergency rules. What drove him to that decision? “Like most of these old installations, to access the living quarters on Piper you had to go through doors designed to help maintain positive air pressure within the accommodation and associated spaces,” Mr Rae said. “I went through one particular set of doors often as the drilling office was on one side and my workshop was on the other. On occasion I found this external door to be left ajar and swinging open. “I hadn’t reported that, though I had mentioned it to colleagues. I just took the time to close it, which took a bit of effort given the air pressure difference. “When things started to go wrong, we headed from the drill floor to the accommodation and after crossing the deck this would be the door we would have to go through to enter the accommodation. When we arrived there we found that the door was swinging open. “Thinking about the weather conditions at the time, they were moderate, but with a wind that was carrying thick, black acrid smoke across the accommodation, across the helideck and towards the lifeboats. Mr Rae jumped into the sea from a height of 68ft to escape the blazing installation, even though the sea’s surface was also afire with blazing oil. “That 68ft was no distance compared to the 150-175 feet jumps that some of the other survivors had to jump from,” he said. Many survivors have since been repeatedly haunted by this nightmare, though not Mr Rae, it seems. “I’d like to think that my life since the disaster turned out to be relatively normal,” he said. It is acknowledged that many Piper survivors were so traumatised that they were unable to build a new life, understandably so. Mr Rae did bounce back. He went back into the industry and made it to a position of some influence. He has used that influence to ensure that offshore disasters never occur again. Mr Rae shies away from the notion of having exercised power, however. “I’ve been in very responsible roles leading people and have been accountable for significant businesses where I’ve been able to use my stature in the hierarchy,” he said. “This is where I’ve really been able to use my Piper experience in a positive manner, attempting to influence the companies and departments that I’ve been responsible for. “That for me has been the best thing I could ever have given back to this industry. As mentioned above, out of Piper Alpha came the Cullen Report. But how fundamental are the 106 recommendations that came out of that Inquiry? “At Safety 30, I said the Cullen Report did bring about fundamental change and that creation in 1989 of the Elected Safety Representatives Regulations was one of the most fundamental strengthenings of the approach to health and safety offshore,” Mr Rae said. The road for safety reps has not always been an easy one and there have been occasions when operators were less than enthusiastic regarding their involvement, at least for a time. Mr Rae believes it still goes on today. He said: “What we touched on at the Safety 30 conference was how long some companies take to provide the mandated training to elected safety reps.
“While that situation still exists to some extent, I genuinely believe that through the elected safety rep (ESR) forum their voice is heard at the right table now. “What I also talked about at Safety 30, is that every tragic event offshore and even ‘near misses’ can lead to a regulatory reaction. In some cases, a regulator may demand change to the regime under its remit. “The alternative approach, which was introduced as a result of the Cullen report in the UKCS, is that the industry was given the opportunity to get better at managing its own efforts to improve health and safety performance and with risk assessment and situational awareness (a goal setting approach). “The value of the second option is that the industry invests its money in achieving performance improvement rather than to just reach a compliant state. Has it not been necessary for a degree of prescription to come back into the regime that HSE oversees? Mr Rae said: “I think you must have oversight from an independent body. It can be HSE, it could be some other regulator or body. “But there is also the principle of ALARP (as low as reasonably practicable), which involves weighing the level of risk against the trouble, time and money needed to control it. It sits well with goal-setting. Thirty years after Piper Alpha, how fit for purpose is the HSE? “When I returned to the UK some six months ago, I became very aware that the regulatory regime had changed,” Mr Rae said. So is the HSE really the body that’s in charge of offshore safety on the UKCS? In strict terms it seems to be, but is the North Sea reverting back to the days when the then-Energy Department was also responsible for safety and was therefore both poacher and gamekeeper? Mr Rae said: “I don’t think that’s the case and the reason I say that is because I know the HSE has a respected, elected safety rep as an offshore safety adviser. Finally, where does Mr Rae think corporate fear fits into the picture, bearing in mind bosses can now be jailed for gross failings of duty of care? Go back to the time of Piper Alpha and that was not the case. Fear among the workforce that a serious accident could happen was commonplace but, attracted by big money, they still got on with what was unquestionably dangerous, challenging work. Mr Rae said: “I genuinely believe that today’s North Sea industry leaders are definitely engaged. The second point is that during my time overseas I had the good fortune to meet a very senior person in the US industry who had worked for one of the majors in the UK, also West Africa. “He has since returned to the US and runs a consultancy. How often does Mr Rae reflect on the happenstance that somehow enabled him to still be working in the offshore industry today? “Every day in a different manner,” comes the response. “I’ve been fortunate never to have suffered flashbacks to Piper Alpha. But at some point in every day there is a time when I remind myself that it could have all been so different.